Ingredients: Water, Fresh Farm Goats Milk, Aloe Vera (Aloe Barbadensis) Leaf Juice, Papaya Extract, Emulsifier (plant derived), Cocos Nucifera (Virgin Coconut Oil), Argania Spinosa Kernel Oil (Moroccan Argan Oil), Palm Stearic (plant derived), Vit E-Alpha Tocopherol (Natural), 100% Essential Oil Blend, Gluconolactone (and) Sodium Benzoate. A gift from nature, goats milk natural moisturizing crème is rich in vitamins and minerals, enriched with Argan oil’s protein & Vit E, that melts into the skin to give you a vibrant, youthful, smooth, and supple skin you could never imagine. Bursting with nourishing Virgin Coconut Oil that instantly penetrates your skin to assist in the prevention of premature aging & wrinkling and helps as a protective antioxidant for your skin. Ingredients: Water, Argania Spinosa Kernel Oil (Moroccan Argan Oil), Fresh Farm Goats Milk, Aloe (Aloe Barbadensis) Leaf Juice, Emulsifier (plant derived), Aprikot Kernel (Prunus Armeniaca), Bearberry Extract, Simmondsia Chinensis (Jojoba) Seed Oil, Butyrospermum Parkii (Shea Butter) Fruit, Palm Stearic, Lavender Essentials, Vit E natural tocopherol, Vit B3, Gluconolactone (and) Sodium Benzoate. Packed with nature’s best kept secret, Moroccan Argan Oil, a powerful antioxidant, rich in Vit E & Collagen that increases the skin’s flexibility & strength. It restores moisture & provide a barrier around the eye to help diminish wrinkle. Added with the potency of Bearberry beta-arbutin for an all natural spot eye treatment, blemishes and bags under the eye. Glow & be radiant! Ingredients: Distilled Water, Natural Sodium Lauryl Ether Sulfate, Camellia Sinensis Leaf Extract (Green Tea Extract), Cocamidopropyl Betain, Aloe (Aloe Barbadensis) Leaf Juice, Coco diethanolamide, PQ-7 (Polyquaternium 7), Argania Spinosa Kernel Oil (Moroccan Argan Oil), Vegetable Glycerin, Pogostemon cablin (Patchouli) Extract, 100% Essential Oil Blends, Gluconolactone (and) Sodium Benzoate (Natural Preservatives). With Moroccan Argan Oil & Green Tea Extracts. Is a unique blend of natural vegetable sourced and sulfate free surfactants for intensive hair softness and silkiness. The precious blend of 100% pure and organic Moroccan Argan Oil penetrates deeply and instantly absorbs into the hair to produce a luminous shine and silky perfection in all hair types. While Organic Green Tea Extracts will help renew hair follicles for a more bouncier and healthy hair that helps prevent dandruff and dry flaky scalp. Is a unique blend of natural vegetable sourced and sulfate free surfactants for intensive hair softness and silkiness. The precious blend of 100% pure Moroccan Argan Oil penetrates deeply and instantly absorbs into the hair to produce a luminous shine and silky perfection in all hair types. While Organic Green Tea Extracts will help renew hair follicles for a more bouncier and healthy hair that helps prevent dandruff and dry flaky scalp. Your hair becomes lighter as it cleanses deeply while helping to protect your hair from harmful styling & UV damage. Ingredients: Distilled Water, Camellia Sinensis (Green Tea) Leaf Extract , Cetrimonium Chloride, PQ-7 (Polyquaternium 7), Cetyl Alcohol, Stearyl Alcohol, Argania Spinosa Kernel Oil (Moroccan Argan Oil), Simmondsia Chinensis (Jojoba) Seed Oil, Aloe (Aloe Barbadensis) Leaf Juice, Butyrospermum Parkii (Shea Butter) Fruit, VITAOIL HAC (Combination of wheat germ oil ceramide source, sunflower oil, soybean oil, olive oil, Vit E natural tocopherol & d-panthenol), Vegetable Glycerin, Dimethicone, Glycol Distearate, 100% Essential Oil Blends, Gluconolactone (and) Sodium Benzoate (Natural Preservatives). This daily moisturizing conditioner is free from sulphates and parabens and is enriched with antioxidants, 100% pure Moroccan Argan oil, Jojoba Oil & Organic Green Tea Extracts. A color safe infusion of vegetable sourced ingredients to give you a stronger & silky soft hair. Eliminates frizz and gives lustrous, vibrant looking hair. Look your best the whole day! A conditioning power that are beyond compare, sulphate free, with unique blend of ingredients, Moroccan Argan Oil combined with the power of green tea extracts & jojoba oil, instantly penetrates into the hair shaft leaving hair soft, silky and manageable with a long lasting shine. Silky smoothness for all types of hair. Ingredients: Calcium Bentonite (Natural Volcanic Ash), White (China) Clay, Ginseng Panax Powder, Chamomile Flower Powder, Aloe Vera Powder, Calendula Powder, Vegetable Glycerin, Calendula Oil, Tea Tree, Citric Acid, Fragrance. Made with pure volcanic ash and enhanced with organic Ginseng, Chamomile flower & Calendula botanicals that is tailor made to help skin healing for blemishes and inflamed skin. It absorbs toxins, draws out black heads, kills acne-causing bacteria, and it’s good for spot treatment too. The all natural elements & minerals in this clay will deeply cleanse pores and remove toxins while the added botanicals will deliver acne fighting, yet skin calming and soothing results. Contains Farm Fresh Goats Milk, Virgin Olive Oil, Pure Coconut Oil, Soybean Oil, Canola Oil, Organic Cocoa Butter, Essential Oil Blends. The added benefits of Organic Cocoa Butter that is very rich in natural antioxidant Vitamin E. Organic Cocoa Butter applied into our skin has been scientifically proven to help prevent the degradation of your skin by free-radical-inducing agents such as the UV in sunlight, pesticides, cigarette smoke, industrial pollution and traffic fumes. 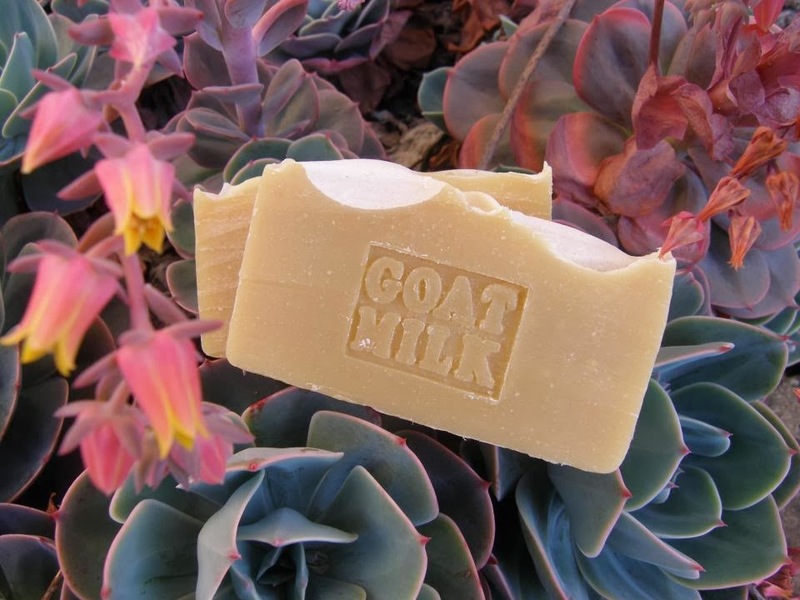 Our goat milk soaps are 100% fresh goat's milk , not dried powder milk. This soap is made from pre fresh goat milk and is left mildly scented to enjoy the purest touch of goats milk. Contains Farm Fresh Goats Milk, Pure Coconut Oil, Soybean Oil, Canola Oil, Castor Bean Oil, Organic Avocado Oil, Essential Oil Blends. Our unique blend of oils in this Goats Milk Soap with the inclusion of a wonderful moisturizer Avocado Oil. Valuable for the effects on dry and wrinkled skin, high in antioxidants and contains a high percentage of monounsaturated fatty acids, vitamins A, B, and D and is also rich in lecithin. 100% fresh goats milk, mildly scented to enjoy the purest touch of goats milk. Contains Virgin Olive Oil, Farm Fresh Goats Milk, Organic Coconut Oil, Soybean Oil, Canola Oil, Organic Shea Butter, Essential Oil Blends. Shea Butter has been used by many generations of African people for skin care, baby care, healing and food. The Shea tree is considered sacred because of the bounty of goodness it can do for your skin, hair, beauty and health. Discover the secret of Egyptian Queen Nefertiti's legendary beauty and find out what makes Shea butter so powerful to renew, repair and protect the skin against aging and harsh climate. For this reason we're proud to lavish our goat milk soap with the goodness of organic & unrefined African Shea Butter, rich, moisturizing & skin loving! Contains Farm Fresh Goats Milk, Virgin Olive Oil, Virgin Coconut Oil, Canola Oil, Organic Cocoa Butter, Essential Oil Blends. This is the most sought after among our goatmilk crème soaps for its skin nourishing qualities, for the treatment of wrinkles and the fight against skin aging. 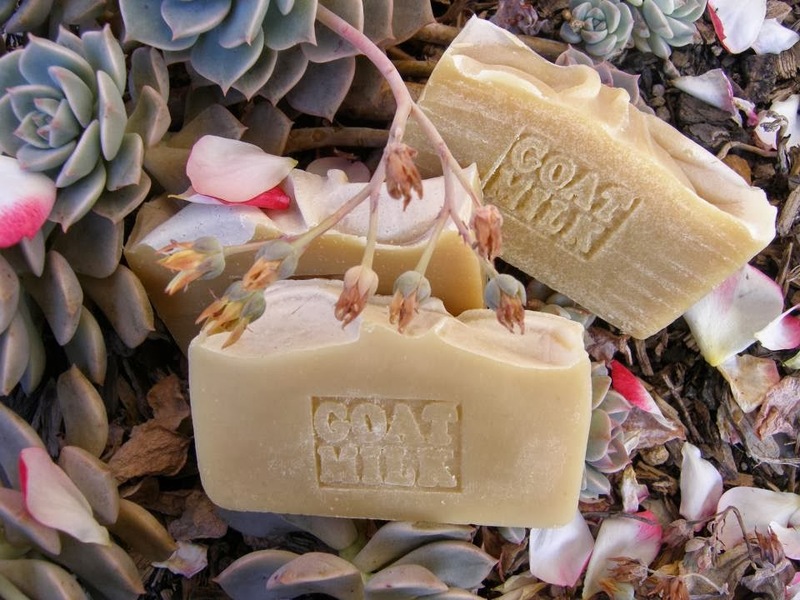 This goat milk soap's richness in skin moisturizing qualities, improves hydration, firmness and tone, nourishing deep into the skin epidermis and also protects against cell damaging free radicals. All the goodness of fresh goat milk & Virgin Coconut Oil in this bar. Contains Farm Fresh Goats Milk, Virgin Coconut Oil, Virgin Olive Oil, Castor Oil, Organic Moroccan Argan Oil. 100% fresh goats milk, unscented to enjoy the purest touch of goats milk. Contains Lavender Floral Water, Virgin Olive Oil, Castor Bean Oil. Olive oil soap bars are highly valued for their moisturizing properties and gentle nature. Our olive oil soap are made from extra virgin olives with the addition of castor bean oils for that rich lather. These soaps will gently cleanse and moisturize dry or sensitive skins that has a creamy lotion-like lather, leaving even your most sensitive skin feeling soft. With this soaps naturally occurring glycerin, it will not leave your skin feeling tight and dry like store bought soaps. The classic soap from olive and castor bean oils, loved and trusted for decades. Contains Fresh Lavender Floral Waters, Virgin Olive Oil, Pure Coconut Oil, Castor Bean Oil, Essential Oil Blends. Our Passionate Olive Soap Bars are rich in lather, creamy and very gentle even for babies skin. Scented with 100% Essential Oils to add to its skin benefits. Gives you a soft, supple, smoother skin, rejuvenated and younger looking! Fresh Skin from olive, coconut and castor bean oils, loved and trusted for decades. Contains Farm Coffee Water, Fresh Goat Milk, Virgin Coconut Oil, Soybean Oil, Virgin Olive Oil, Organic Cocoa Butter, Vanilla Oil. It is said that caffeinated soap absorbs through your skin during your morning shower. One of the benefits is reducing the risk of skin cancer. Caffeine according to studies can actually kill the abnormal cells that can cause skin cancer. Caffeine helps blood flow to the skin and acts like a diuretic. Our Coffee soap contains coffee grounds which helps in exfoliating and massaging your skin. By massaging and rubbing the needed areas this help breaks up the fat cells and decreases the lumps and bumps ever faster. Contains Spring Water, Farm Fresh Goats Milk, Virgin Coconut Oil, Castor Bean Oil, Organic Unrefined Cocoa Butter, Rosehip Oil, Dark Chocolate, Cacao Powder. This moisturizer chocolate soap will kiss your skin with soft luscious butters, helping to prevent skin from drying out, cell renewal & the rejuvenating properties of chocolate will keep your skin supple & vibrant. Take this chocolate bar into the shower everyday with you; enjoy its rich, creamy lather to get super soft skin. Chocolate contains antioxidant flavonoids, thought to protect skin against the ageing effect of free radicals, and Seratonin and Phenylethylamine, associated with ‘feeling good’. Uplifting delightful aroma of chocolate. Do Not Eat. Contains Spring Water, Virgin Olive Oil, Pure Coconut Oil, Himalayan Salt, Grapeseed Oil, Organic Unrefined African Shea Butter, Essential Oil Blends. Regular use of Himalayan natural salt soap bars can help control many skin conditions such as dry or oily skin, eczema and acne. These can also help relieve viral, bacterial and fungal skin infections. Free from chemicals with 84 trace elements are very useful as to detoxify our bodies, perfectly balances the chemistry of the human body and skin’s pH factor. Wonderful minerals in the Himalayan salt crystals leave your skin fresh, smooth and healthy. Contains Farm Fresh Goats Milk, Virgin Olive Oil, Pure Coconut Oil, Vegetable Oils, Canola Oil, Organic Cocoa Butter, Essential Oil Blends. 100% Fresh Goat Milk is what this Himalayan Salt bar contains. This is to contribute to the skin detoxifying properties of this salt bar. 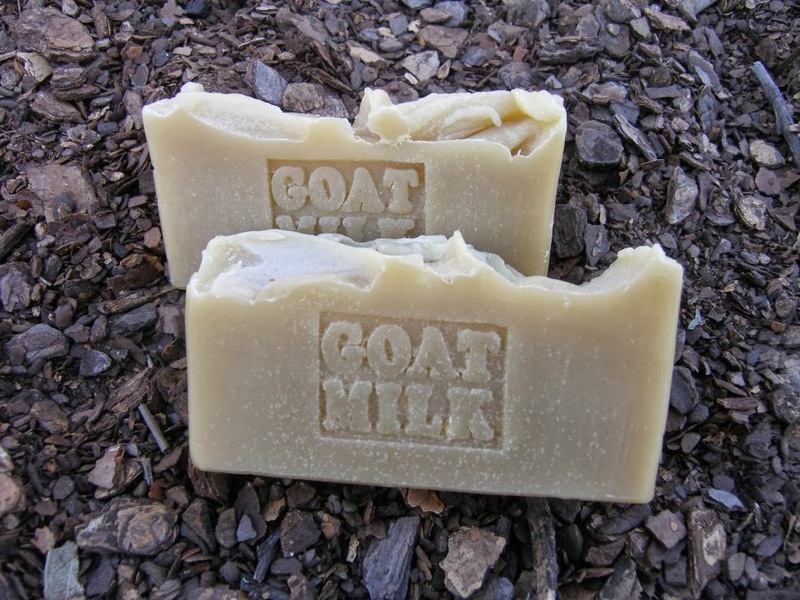 Goat Milk will help to exfoliate dead skin cells while gently cleansing to remove impurities from our skin. Mild, gentle and creamy salt bar option for that super sensitive skin. 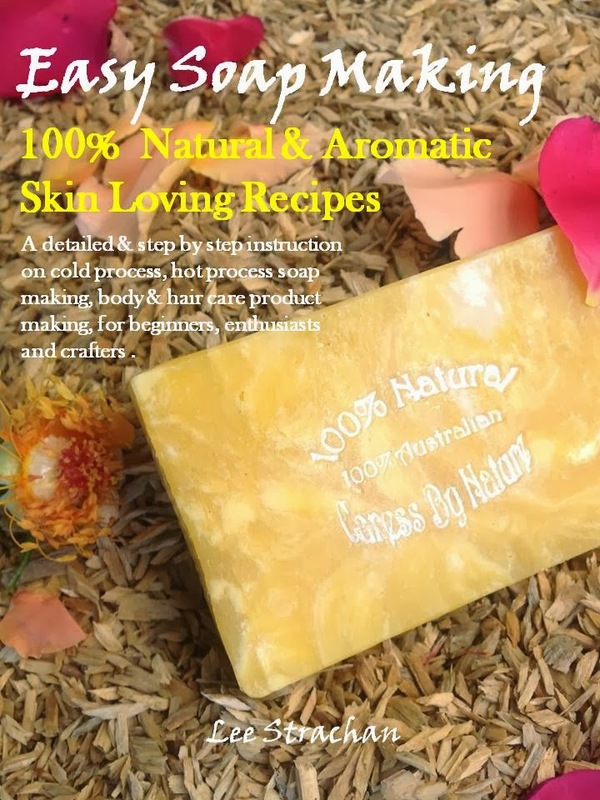 A detailed & step by step instructions on cold & hot process soap making, body & hair care product making, for beginners, enthusiasts and crafters. An all natural and organic skin care product for loved ones, friends and for business aspirants. 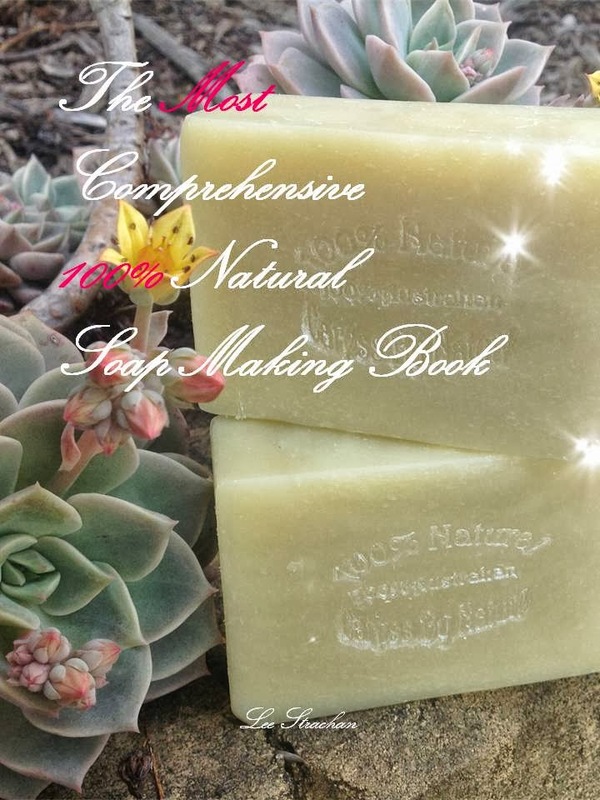 This book is a soap maker’s dream recipe book that can teach even beginners, yet expands a professional soap maker’s knowledge on this craft. The detailed and step by step process for each recipe is like walking through an actual skin care workshop. It describes about the benefit of each ingredient and explores every bit with passion. Also contains Natural Skin & Body Care Product Making Recipes with Instructions. 160 pages of walking you through steps like an actual workshop! Organic, Creative, Effective, Detailed & Fun! "27 Nutrient Rich, Skin Loving SOAP Recipes" in full Colours!